In the past few years, technology companies designed innovative power wheelchair accessories that offer you an additional help with the use of the wheelchair and bring you more independence. Wheelchair itself brings you many benefits, but the main one is to be mobile and get around where you want. A wheelchair makes the world more accessible to you as a user, but this is not the end of the story. Not only that you will be more mobile and independent, but you will also gain addinional functionality with the use of the power chair accessories. Power wheelchair accessories are innovation in the world of disabled people, but why wouldn’t you spoil yourself a bit and make things even easier? Besides, these accessories look pretty cool, so you can show them off freely. If you are content with your wheelchair, but still have a feeling like something is missing – that might be a power wheelchair accessory. There is no doubt that a power wheelchair accessory can bring you more convenience in using your wheelchair and upgrade your experience. To conclude –power wheelchair accessories extend your wheelchair’s possibilities in many different ways. They add on safety, comfort, and are exceptionally practical. Endless freedom is closer than ever with power wheelchair accessories. What Are The Hottest Power Wheelchair Accessories? Companies designed numerous power wheelchair accessories until now. Some of them proved themselves completely, while the others failed. Reading the list, you are thinking about the changes these products might bring into your life, right? It would be great to have any of these, as they definitely make life easier. In the following paragraphs, we will describe each of these power wheelchair accessories, so you can estimate them well and choose one, or more, that you need. Before heading to the main topic, we want to assure you that being in a wheelchair has many more options than it looks like in the beginning. Your wheelchair is an opportunity to continue with your life normally and stay independent. What is more, you can have much possibilities with your wheelchair besides being mobile. First of all, you can customize it by adding various colors and themes, ribbons, or stickers – if you would want to improve the design. However, what is more important – you need something that will improve functionality. Adaptive tech will further provide you to manage usual daily activities in an easier way. You don’t have to satisfy with less when there are many possibilities to adjust almost any activity to your needs. A wheelchair is your friend, but adaptive technologies might improve your life’s quality to an exceptional degree. You can inform about newly designed technologies on conferences or via the Internet, but we will fulfill our promise and present you the hottest power wheelchair accessories. If you have a hard time using hands and arms, then it is almost impossible to carry even a lightweight item. On the other side, if you don’t have any issues of this kind, but still don’t want to carry anything in your hands – a wheelchair cup holder is a solution. A wheelchair cup holder is a little addition that can help you a lot. You can choose between different designs, shapes, and sizes until you find a perfect fit for you and your wheelchair. However, you might need to pay special attention to the cup holder’s size. You like large bottles and buckets, but that is completely okay with the right cup holder. This means that you should go for a cup holder model that has the capacity to hold bottle or cup size that you use the most. Still, we recommend you to go for a medium cup holder size. Even though most of the cup holders have a simple and basic design, but if you like to experiment with colors, you can easily find the one in your favorite color. This might cost you a few pounds more, but it is totally worth the delight. What is the best feature of a wheelchair cup holder? You will be hydrated during all day, as you will have your favorite beverage right behind you. A cup holder will hold the drink firmly in place, so it is only a grab away. There are many travel accessories on the market and a wheelchair pouch and side bag are one of these. As you will go out of your home at least a few times a week, you need a bag in which you can put your personal stuff. It would be complicated to hold things in your hands, as something might slip off. On the other side, you would feel pressure to keep everything in place. You don’t need that type of tension when going out. 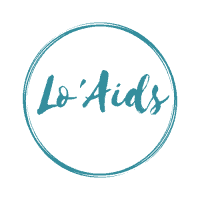 Wherever you go – to a market, to take a walk, or if you are traveling to another city – you will always need a pouch. We don’t recommend taking it to longer trips, as it doesn’t have that much capacity. A wheelchair side bag is a great invention – as you can transfer it easily and load or unload items from it. You don’t have to worry about extra storage, as side bag will have it all. Still, a wheelchair pouch or a side bar is very handy and cute accessory for picnics, everyday activities, or short trips, that it will spark your interest for sure. If you want your hands completely free, and store the need items for that day, a wheelchair pouch or a wheelchair side bag is the right choice for you. As we mentioned in the introduction, your wheelchair probably meets all the requirements from your perspective. We are content that it fulfills your needs, but there is something more to care about – safety. 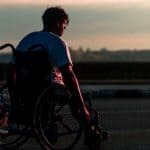 Even though wheelchairs are designed according to safety standards, it won’t harm you to take some additional measures. Some wheelchairs come with a built-in seat belt, but if yours doesn’t have it – then purchase it yourself. We are aware that a wheelchair is not a small investment, but purchasing a seat belt might be life-saving equipment – that is why you need it. Additionally, you can find it at some reasonable prices, so don’t worry. After all – is there a price for your safety? You can choose between many wheelchair seat belt types. For example, there is a transfer belt, which actually helps your caregiver to transfer you in or out of the wheelchair. You see, even if you have a wheelchair seat belt, there is another type that might be very useful. On the other side, there is a one or two pieces seat belt, seat belt with a push button, and many more. Whatever the design is, the most important feature of the wheelchair belt is to keep you safe and prevent slipping or falling off from the chair. Lateral support for a wheelchair is one of the greatest power wheelchair accessories. This device helps you to increase the stability and balance of a user. They come in many sizes and with different padding densities. The most common lateral support style is flat and shaped. Lateral support also makes it much easier to get in or out of the wheelchair. As we mentioned above, this device increases the stability of a user while he is in a wheelchair. You can use them to control spinal scoliosis too, as it can reduce it. Lateral support for wheelchair supports the trunk and if has to make contact to it. If oppositely, the user won’t get any support. This means that you should pay attention if the device is too tight. In this case, you as a user might experience breathing problems and pain. On the other side, low placement prevents establishing support. It is clear why this is one of the hottest power wheelchair accessories in 2019, with the tendency to keep on growing through the following years. If you want to prevent falling off your wheelchair, another great accessory is a lap buddy for a wheelchair. The main idea is to improve safety by using your lap buddy. This is one of the hottest products among seniors, who absolutely love it. 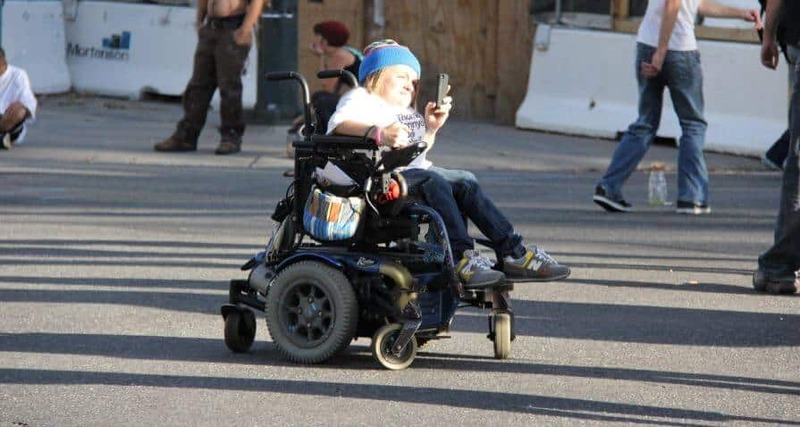 Falling off a wheelchair is probably one of the fears that any person is a wheelchair has. With a help of this accessory, you will impede any possible risks, which will make your ride more comfortable and pleasant. In comparison to a seat-belt, the lap buddy might be a better solution. Lap buddy is easier to remove, so it basically facilitates entering or coming off the wheelchair. Lap buddy is a friendly and supportive device. 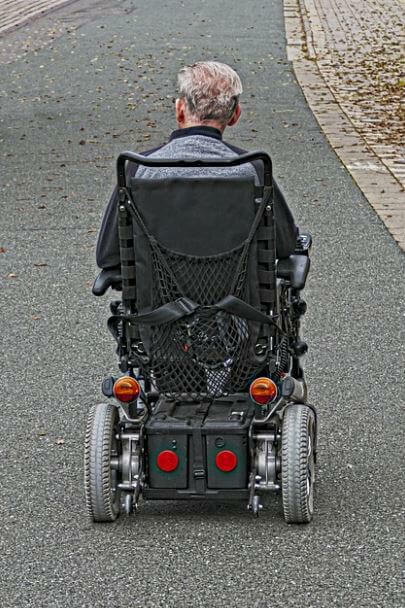 According to stats, falling off the wheelchair might even cause death in adults aged 65. At least one-third of persons in wheelchairs fall once from their wheelchair in a year. 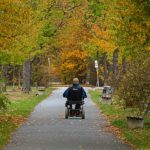 On the other side, fall can lead to severe injuries and fractures, which usually discourage any further use of a wheelchair. What are common causes of falls among disabled persons? There are few solutions to prevent a senior or disabled person’s falling off the chair. If you are a family member that wants to help, then you would like to help as much as possible. It is important to check your family member’s vision or to review of medications he/she uses. Some medications have serious side effects or cause dizziness. Provide the right amount of calcium and vitamin D, encourage him/her to do strengthening exercises, and purchase supportive shoes or anti-slip socks for your loved one. If there are any environmental hazards in your house, install grab bars or handrails and take additional steps to improve the safety of your family. If your wheelchair model doesn’t have a built-in tray, then you should consider purchasing one. Wheelchair tray is a removable accessory that fits any place in your kitchen. People in a wheelchair know the struggle when they want to approach a dining table for a meal. That is why you should make meals more comfortable and pleasant. If you have a wheelchair with open armrests, a plastic tray will fit for sure to any model. It has an adjustable hook and straps, so it is easy to manage. Wheelchair tray with a cut out will be even more close to your body, so you are sure that nothing will spill or fall around. On the other side, you don’t have to use the tray for meals only. You can put whatever you want on it. Wheelchair trays have an adjustable height so you can fit it to your needs. You can write on it, play games, paint – or whatever you like. You, or your loved one, spend much time in a wheelchair. The most important thing here is to find a device that suits your needs, but you can also customize your power wheelchair so it provides you more independent and quality life. If you want to add to your safety and facilitate everyday functioning, power wheelchair accessories are designed to ameliorate your wheelchair experience. The time you are spending in your chair should be safe in the first place, and effortless in the other. We listed the hottest power wheelchair accessories in 2019, hoping that some of them will help you handle everyday activities and your job tasks.